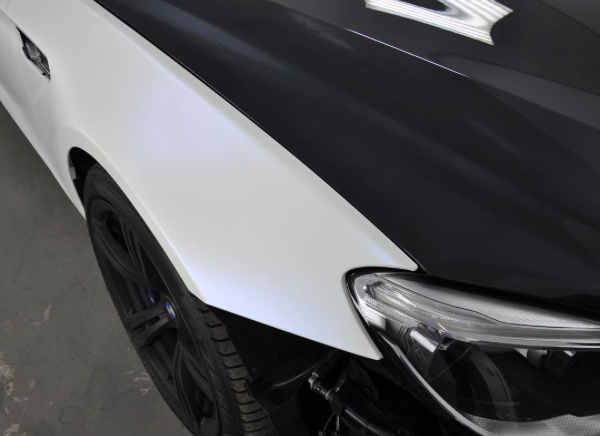 Protective yet invisible film which protects the vehicle from rock chips and debris from the road. 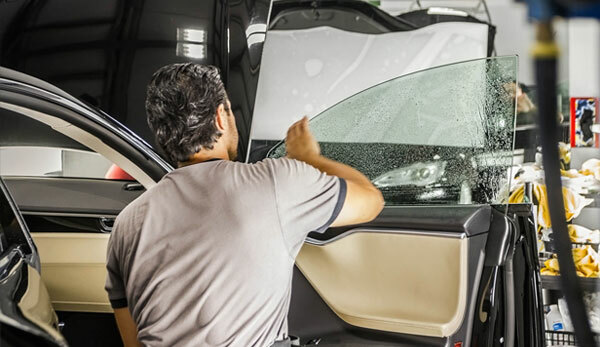 Clear Bras will keep the value of you vehicle up by protecting the paint and will make the paint look new after you take it off. 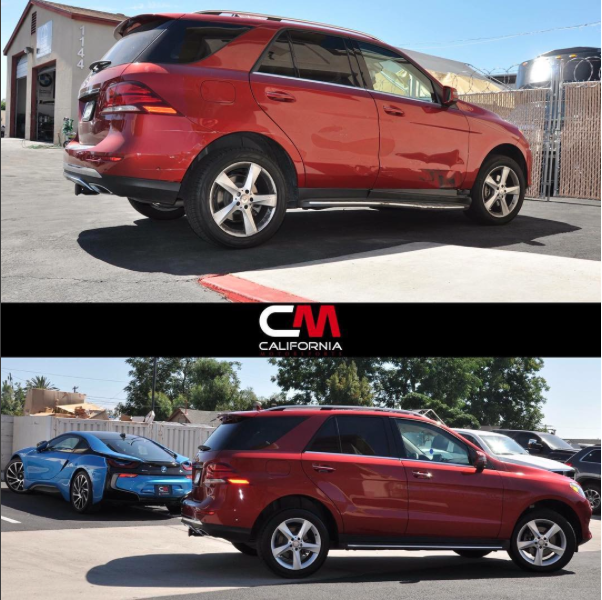 Change the color of your vehicle to any shade or any design you can ever imagine and protect your factory paint while enjoying a brand new car. 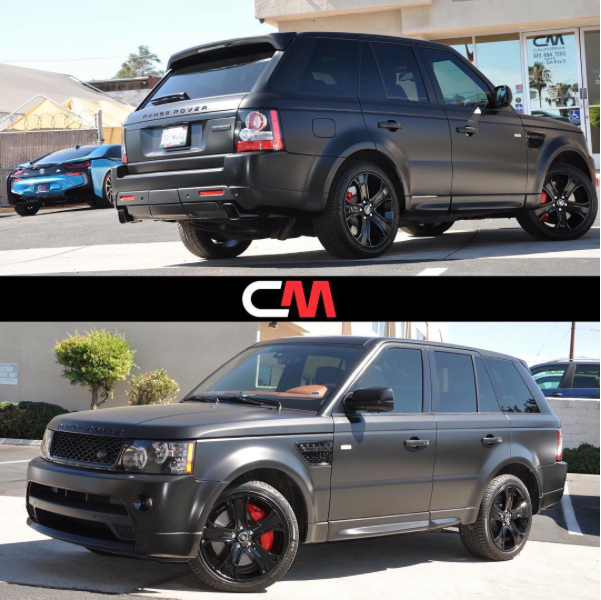 Blacking out wheels, grills, emblems, and trim pieces can dramatically change the look of your vehicle. For an affordable price, make those slight changes that can make you stand out. Decreases UV rays from the sun and shielding you and your sensitive vehicles interior from the heat. Looks fly. 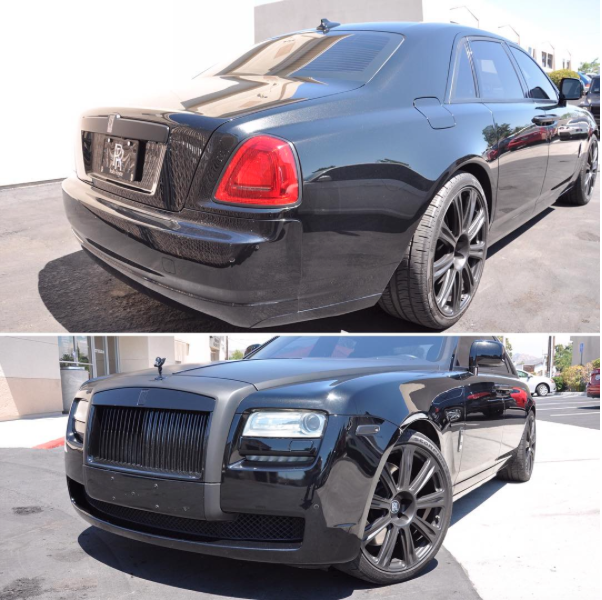 Rolls-Royce Ghost rear bumper repaired and refinished with a subtle black out back-out package. Brought this 2006 BMW 650i Convertible back to life. 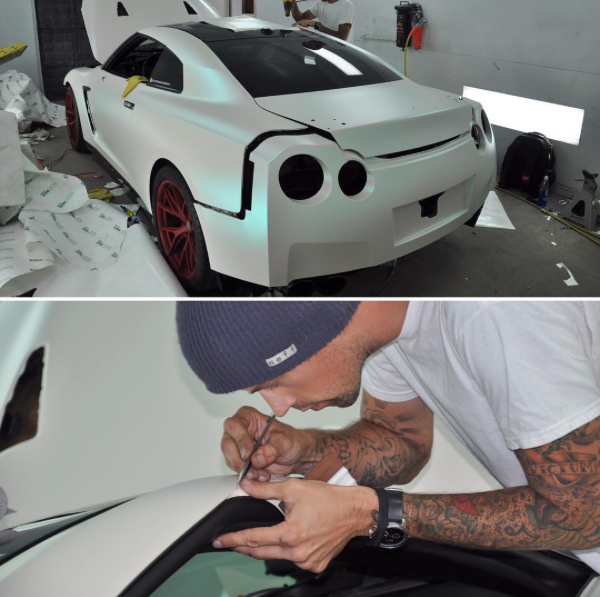 Repair/Refinish Front/Rear Bumpers. 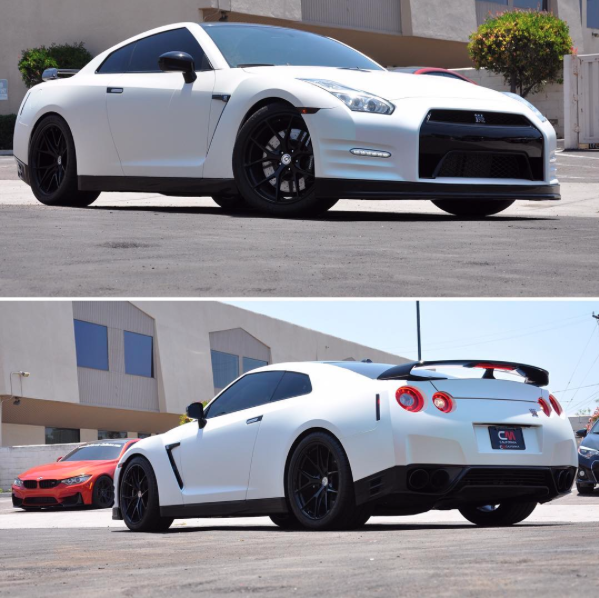 Full Satin Pearl White Wrap. Gloss Black Wheels. Ferrari Red Painted Calipers. Satin Black Accents. 18% Carbon Tint. 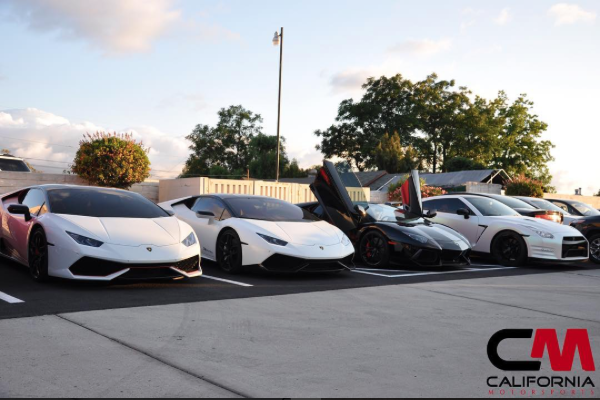 Make sure to call us for all your car needs this is a perfect example of why we are your one stop shop. Everything done in house.Call today for pricing (619) 929-7710. 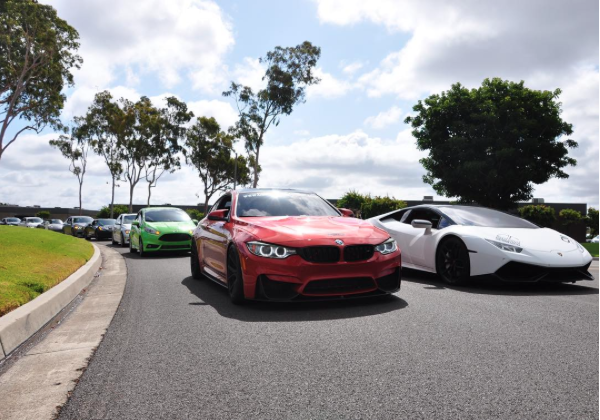 Tearing through the mountains at the #targatrophy supercar festival. 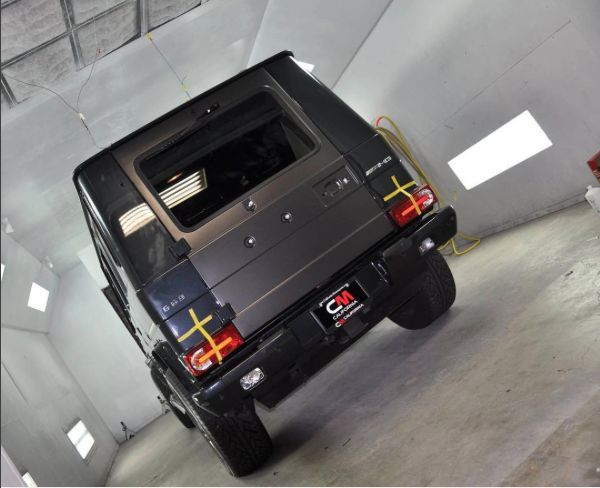 Mercedes-Benz #G63 #AMG in for a full Satin Black Nero wrap and much more. Stay tuned for the final product. 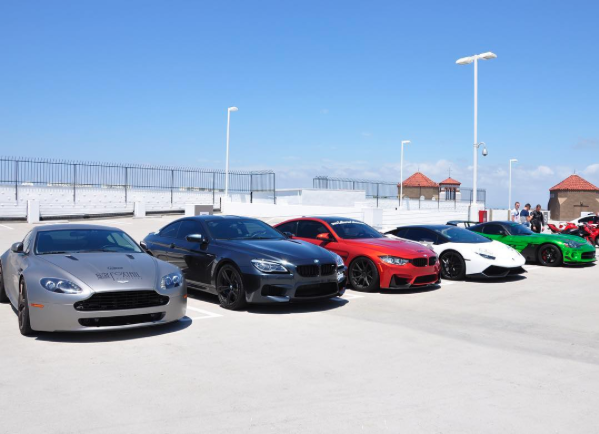 TargaTrophy was an absolute blast. 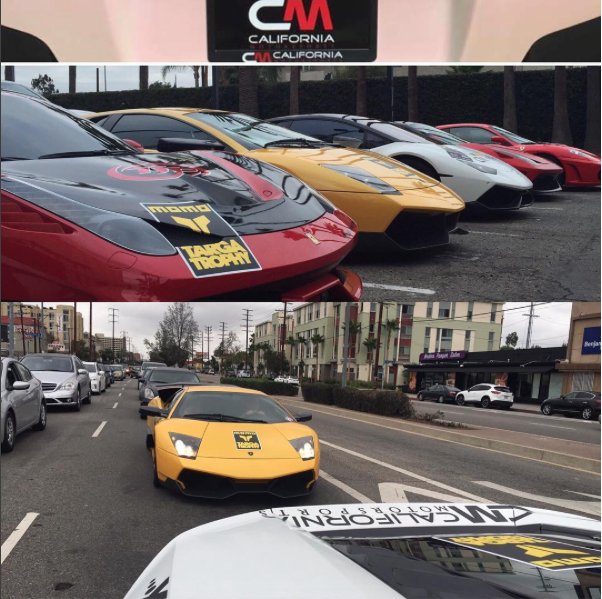 Team California Motorsports can’t wait to attend the next one! 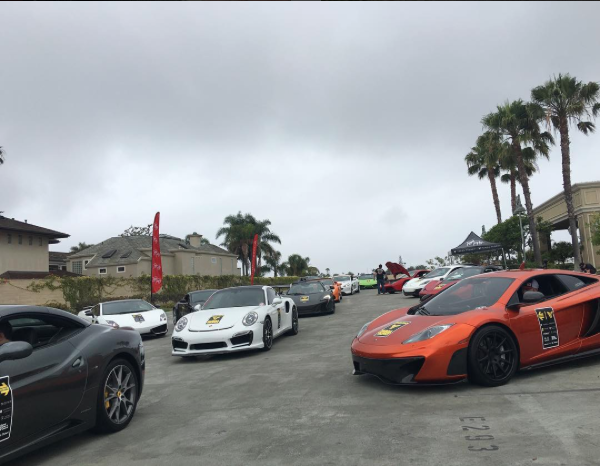 California Motorsports out at Targa Trophy Supercar Rally. We’re havin’ a blast! 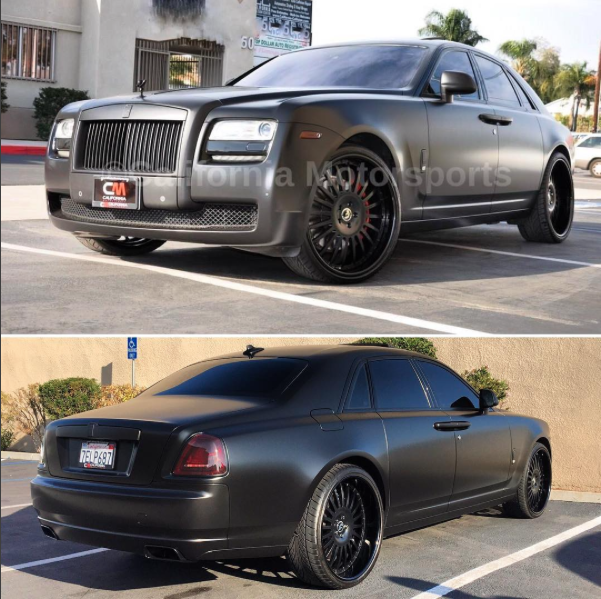 californiamotorsportsRolls-Royce Ghost completely customized for San Diego Chargers linebacker @melviningram54 Custom work includes: Satin Black Vinyl Wrap. 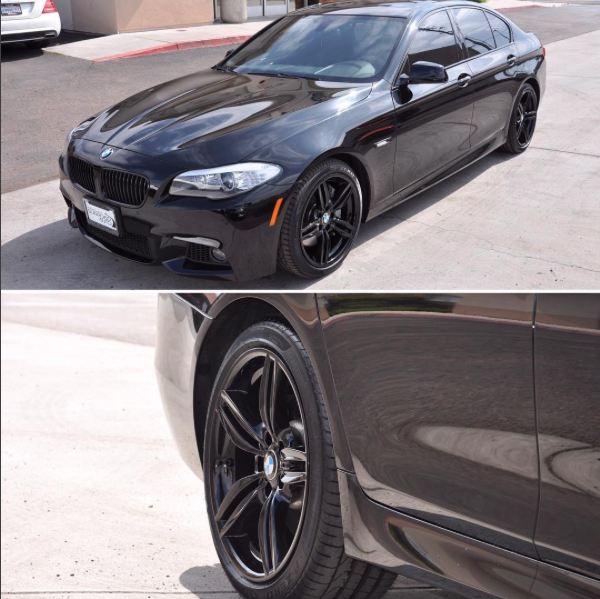 Satin Black/Gloss Black (2-tone) Wheels. Smoked tail lights. 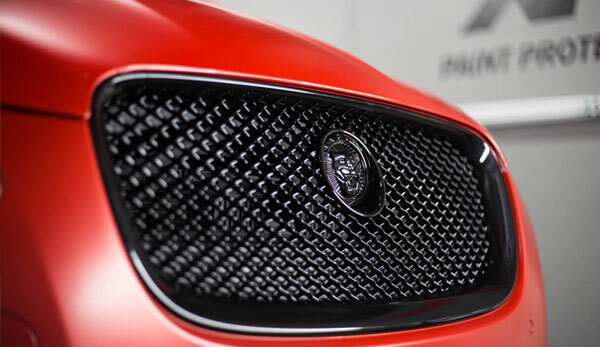 Satin black grill, spirit of ecstasy and accents. 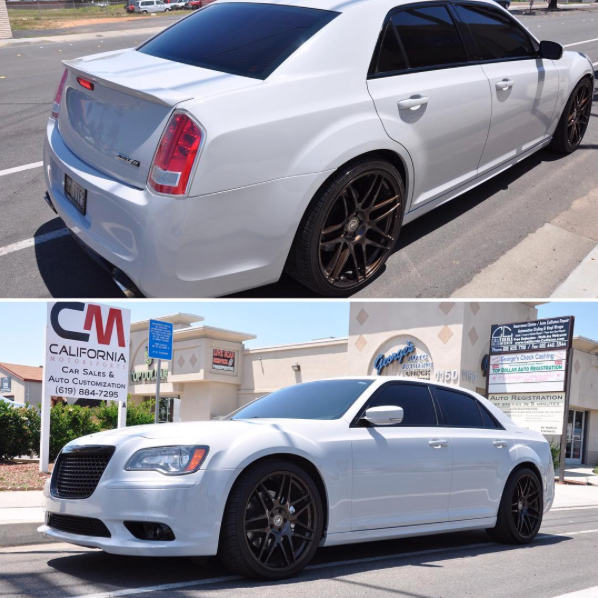 Windshield tint, glass tint, reflectors. Gloss black exhaust tips. 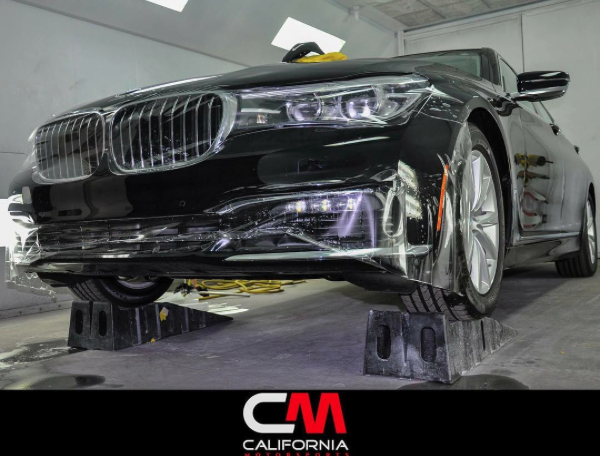 Call today for pricing or questions (619) 929-7710.
californiamotorsportsOur body shop is open to any kind of paint/collision work that needs to be done! 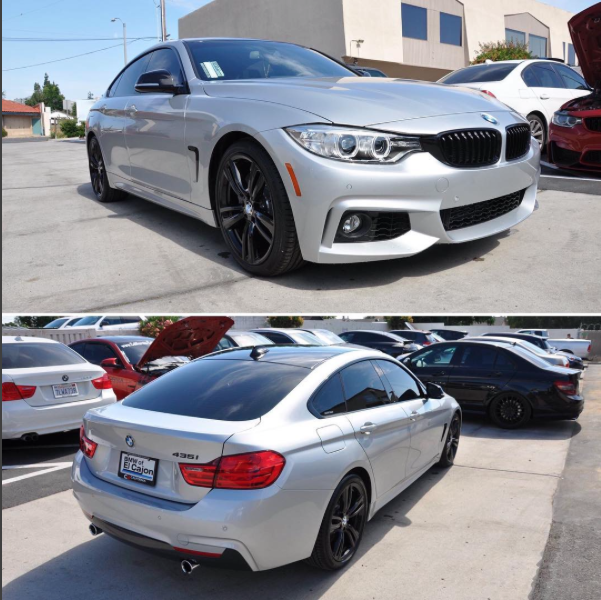 Call today for a quote: 619-929-7710.
californiamotorsportsSubtle blackout package that consisted of gloss black wheels, gloss black vinyl roof wrap, gloss black mirror caps and rear emblem black out on a brand new 435i Gran Coupe completed. 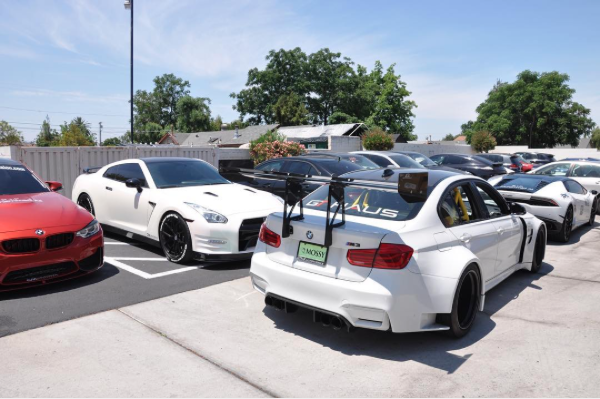 californiamotorsportsCalifornia Motorsports parking lot is looking packed! 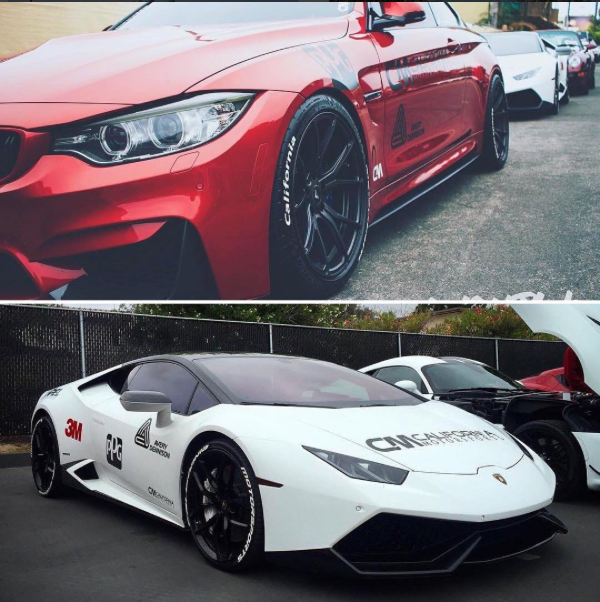 californiamotorsportsAnother amazing event by @hre_wheels thank you for having us! 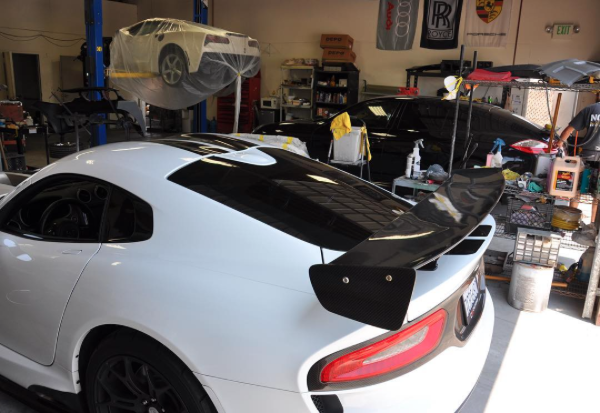 californiamotorsportsCalifornia Motorsports provides all of your Vinyl, Collision, and Paint work for your vehicle. 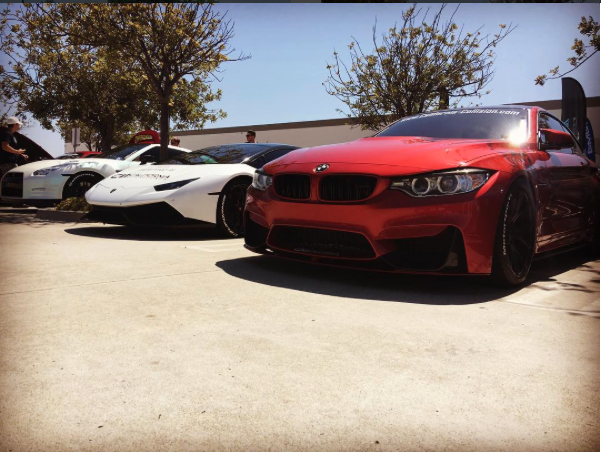 californiamotorsportsCalifornia Motorsports last weekend when we attended three car meets in one day! Lamborghini consultation meeting at California Motorsports. 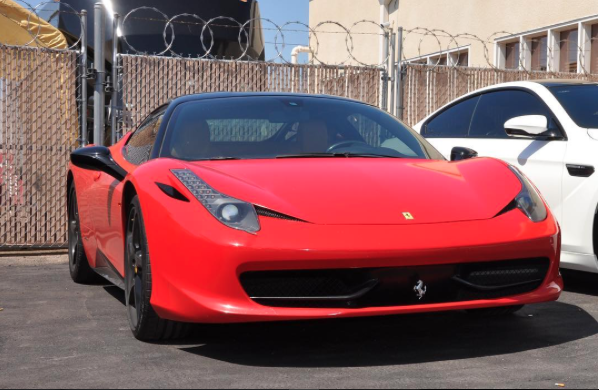 Ferrari 458 Italia just done with service by California Motorsports. 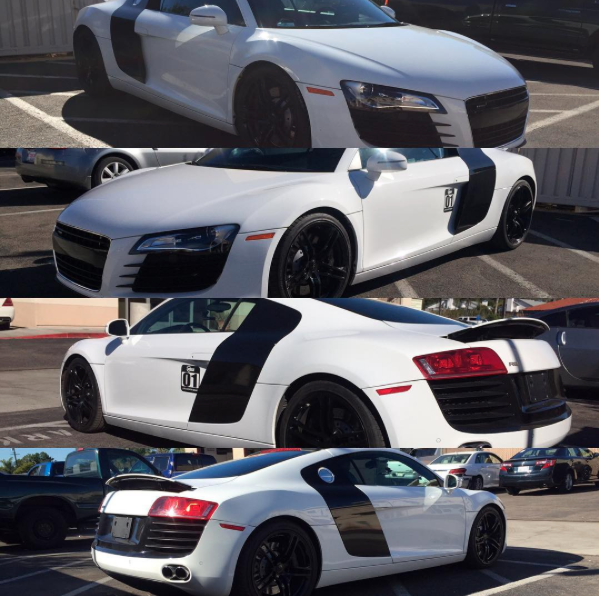 California Motorsports blacked out vents/accents on this Audi R8 after repairing damage on it’s bumper as well. 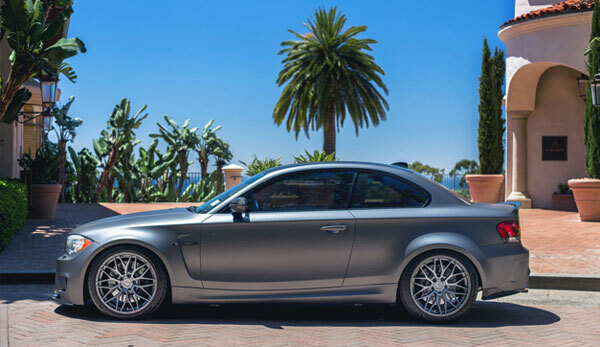 BMW 3 Series Coupe done in Satin Black with gloss black wheels wrapped and ready to be delivered. 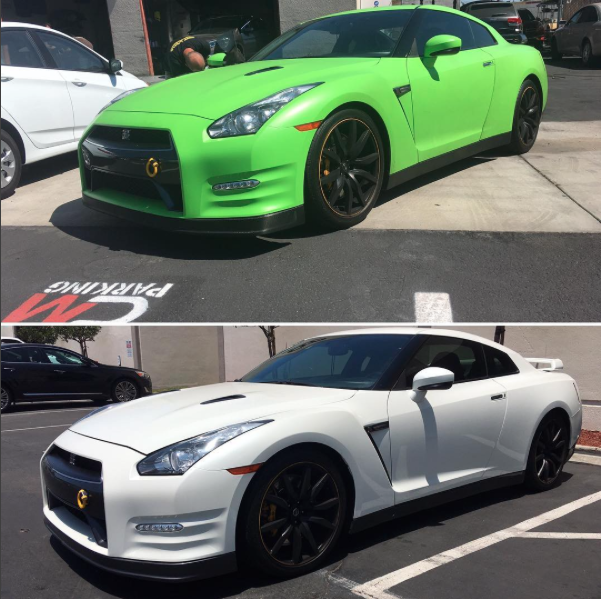 California Motorsports’ GT-R wrapped in Aurora Pearl with black accents. 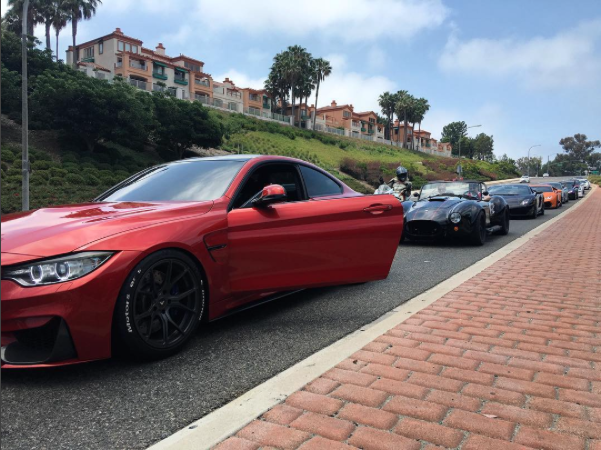 HRE P101s refinished in gloss black. 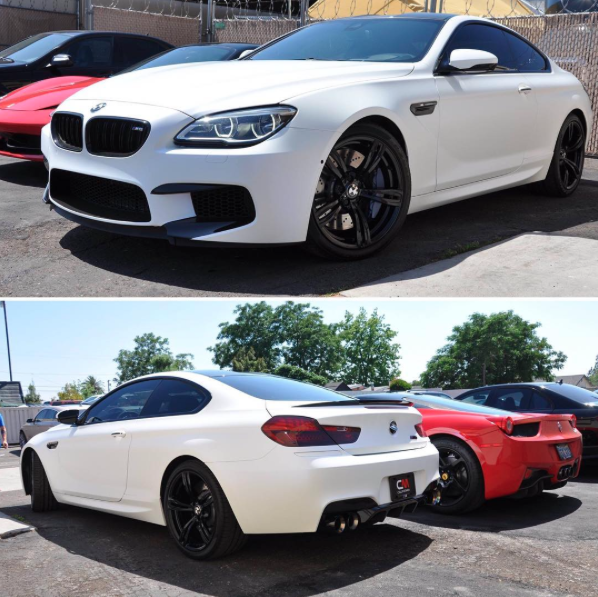 Brand new 2016 BMW M6 wrapped in Matte White/Blue Iridescent gloss black wheels and custom black accents/emblems. 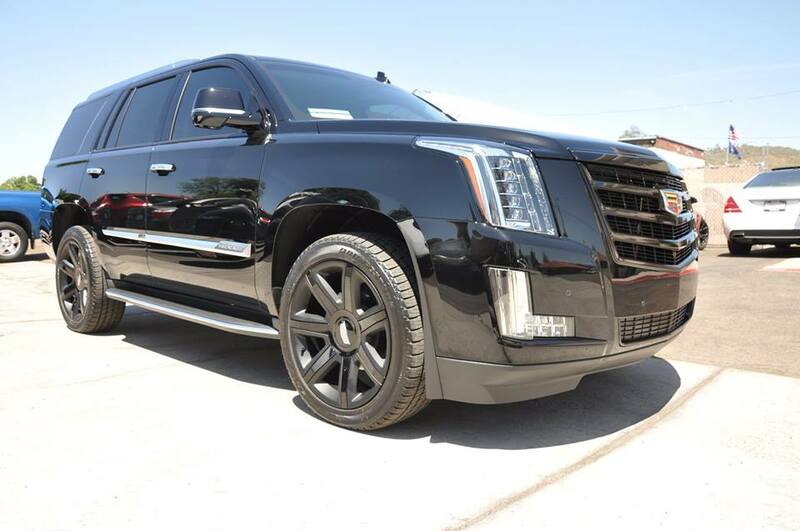 Call today for pricing 619-929-7710. 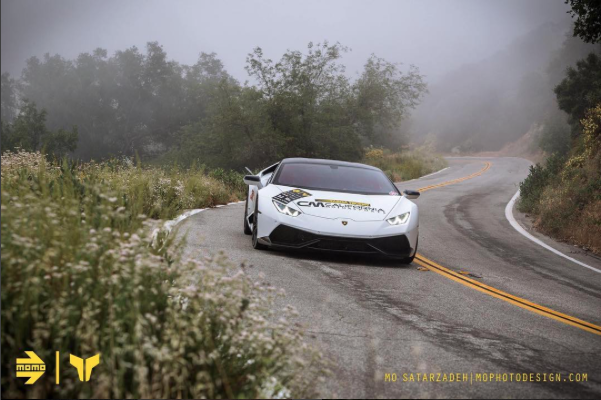 TBT to the last @lifeinsixthgear California Motorsports attended. 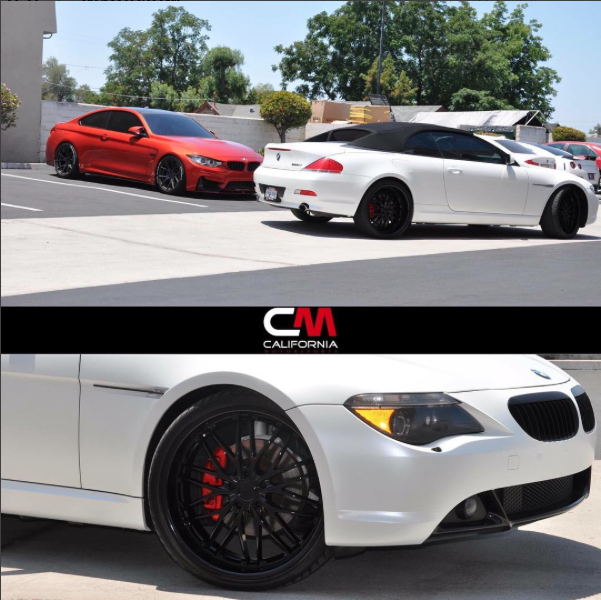 BMW M6 in for a complete wrap. 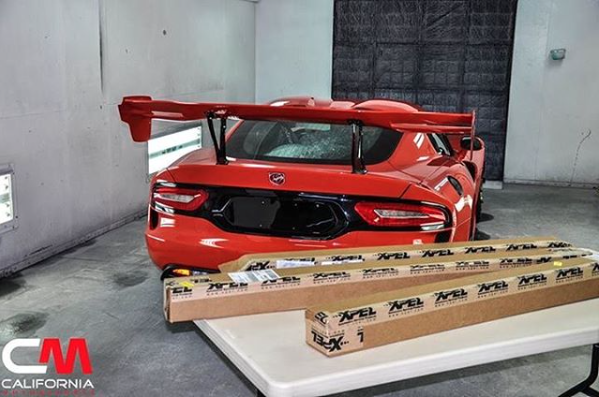 Can you even tell it’s a wrap? 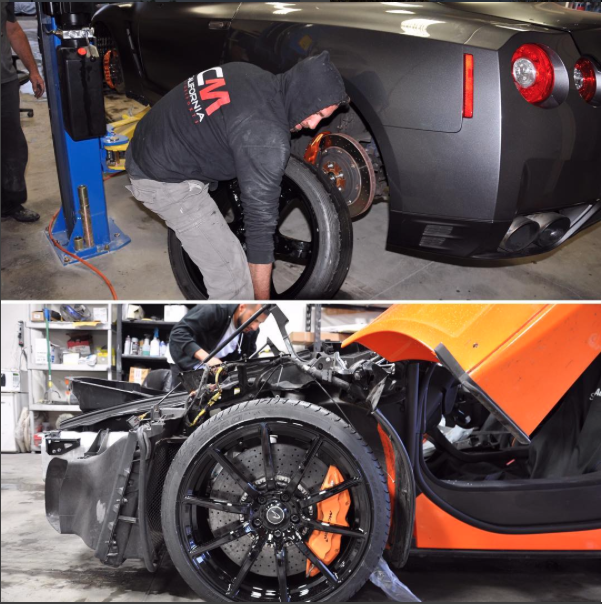 Another GTR that is fully stripped and currently under the knife. Stay tuned to be blown away by the final product. 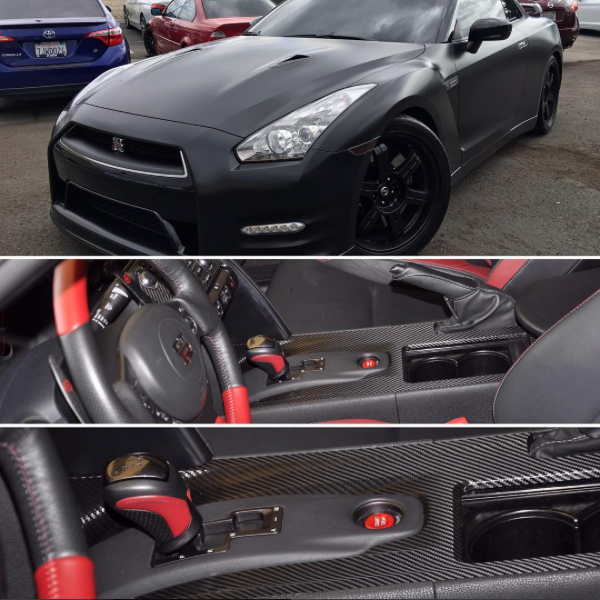 A matte black Nissan GTR we wrapped came back in for a carbon fiber interior wrap and to tint his windshield. 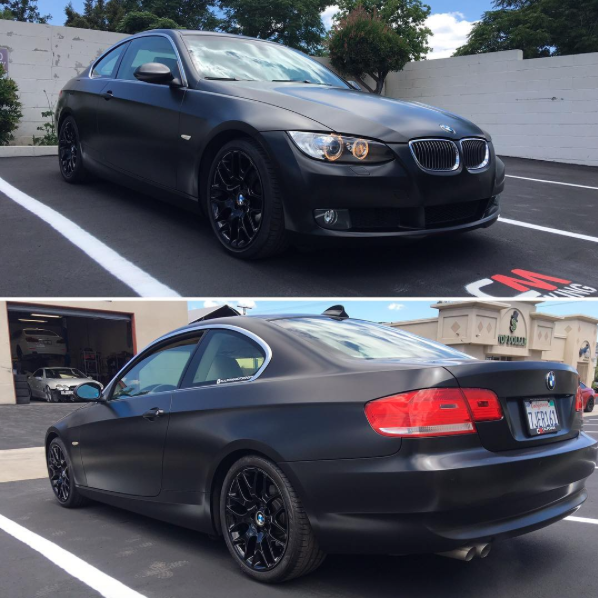 This BMW 550i received a blackout package. 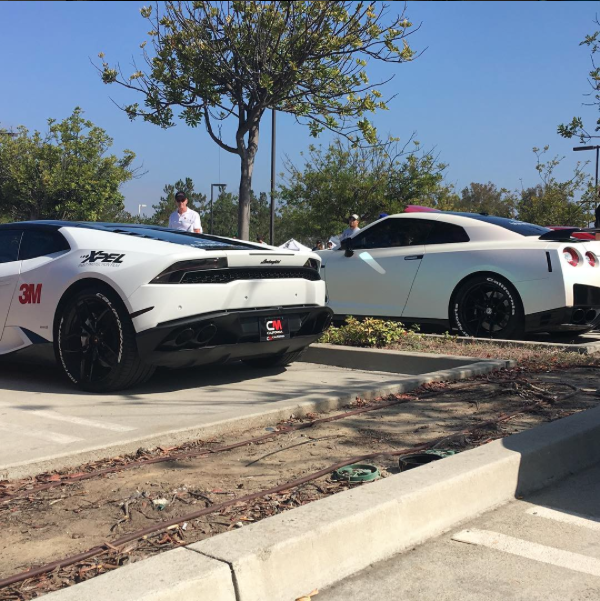 California Motorsports at LSG Rally on Saturday enjoying the sun out in Newport. 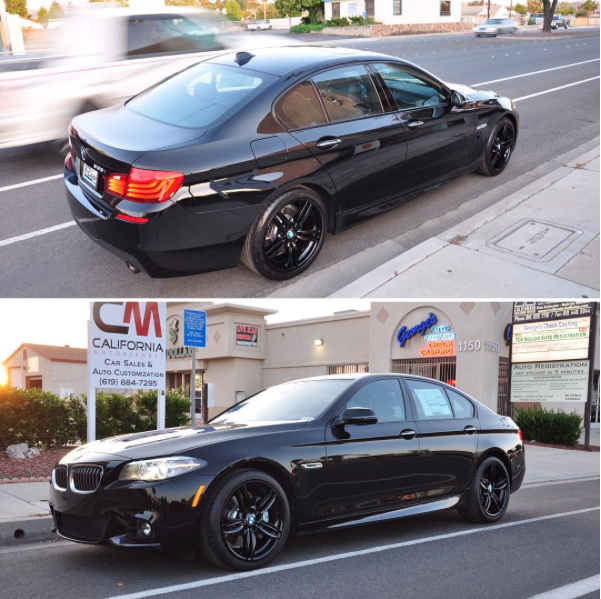 A 2016 #BMW 535i with gloss black painted wheels and a black out package done for BMW of El Cajon. Now available in their showroom! 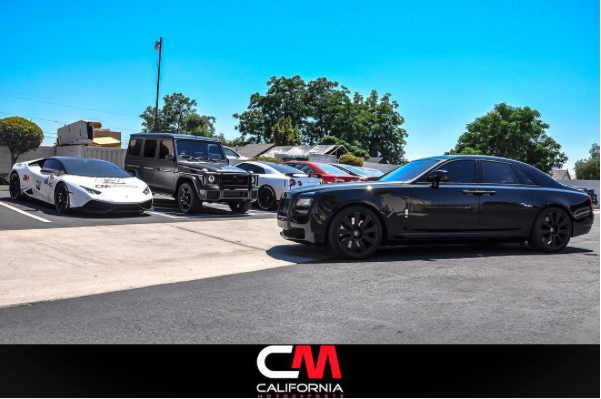 Shout out to family member @chadkerley for coming through for a full California Motorsports exclusive treatment. 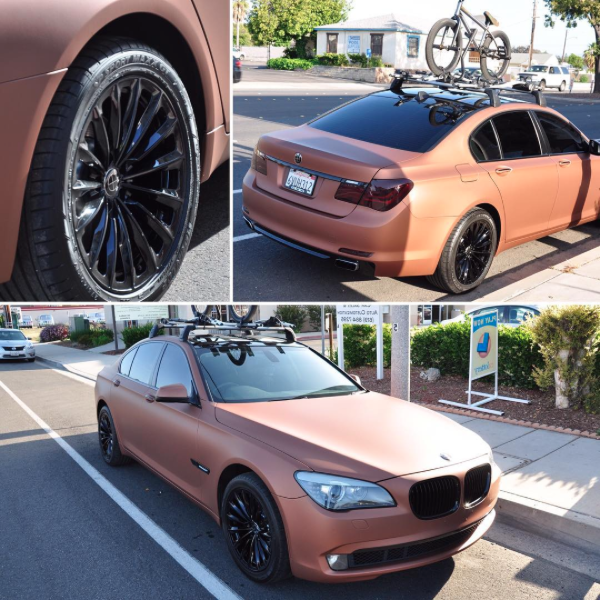 Wrapped in Matte Metallic Brown AV Wrap, Signature Gloss Black Wheels, Smoked Tint for the tailights, blacked out accents, black painted kidney grill and calipers. 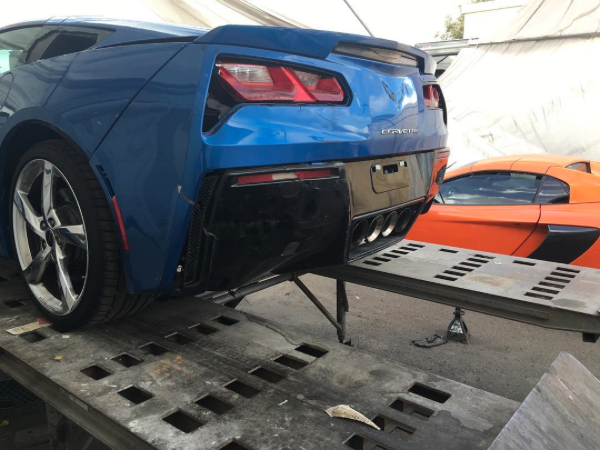 Corvette C7 in for major collision & frame repair and wrapping it in a crazy color! (It’s called KMPF Matte Aurora Pearl) Stay Tuned. 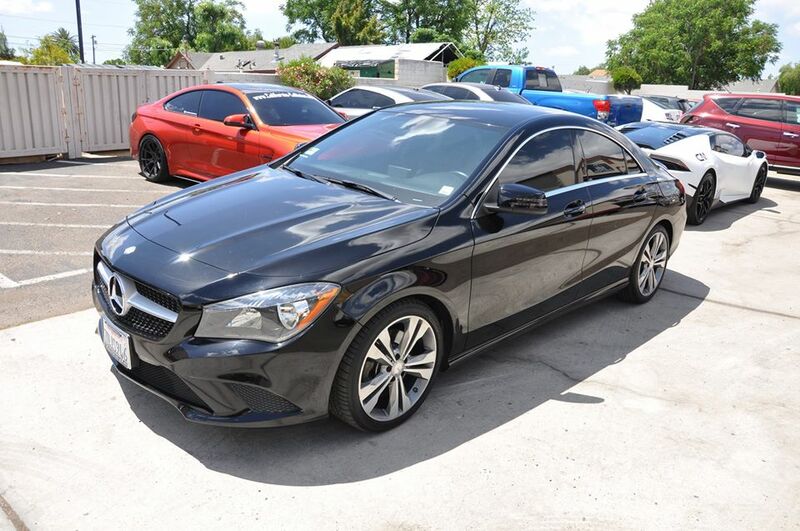 Mercedes-Benz CLA 250 with 18% carbon tint all around. 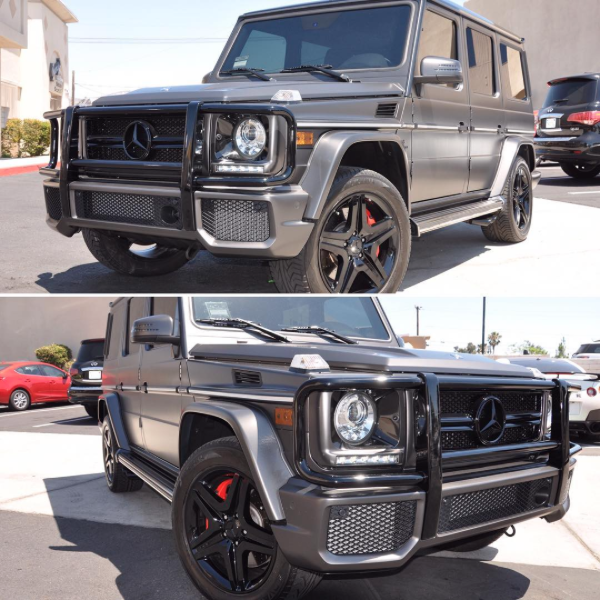 2 tone satin/gloss black wheels, partial blackout package and black painted grill. 2 Inch rear lowering springs to level the stance. Thank you Gil Konfino for your trust in California Motorsports. 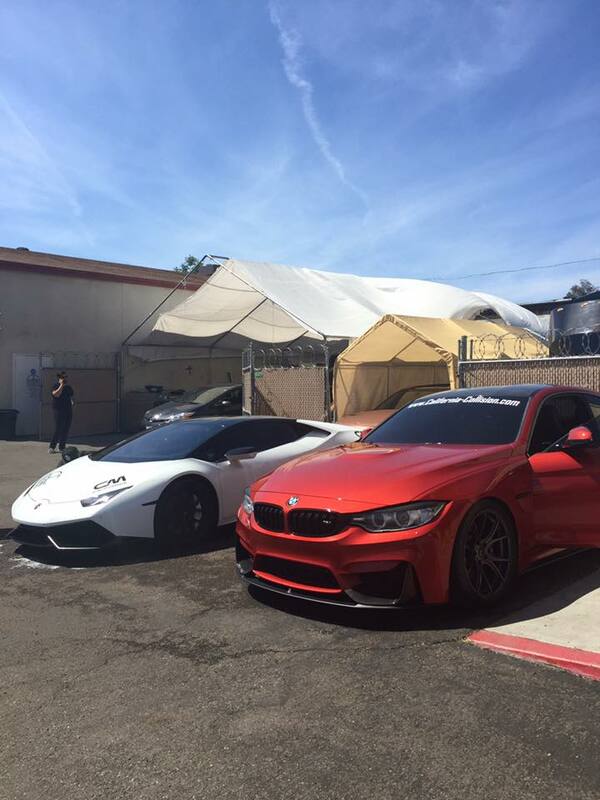 Two beauties, bathing in the sun after a wash at California Motorsports. 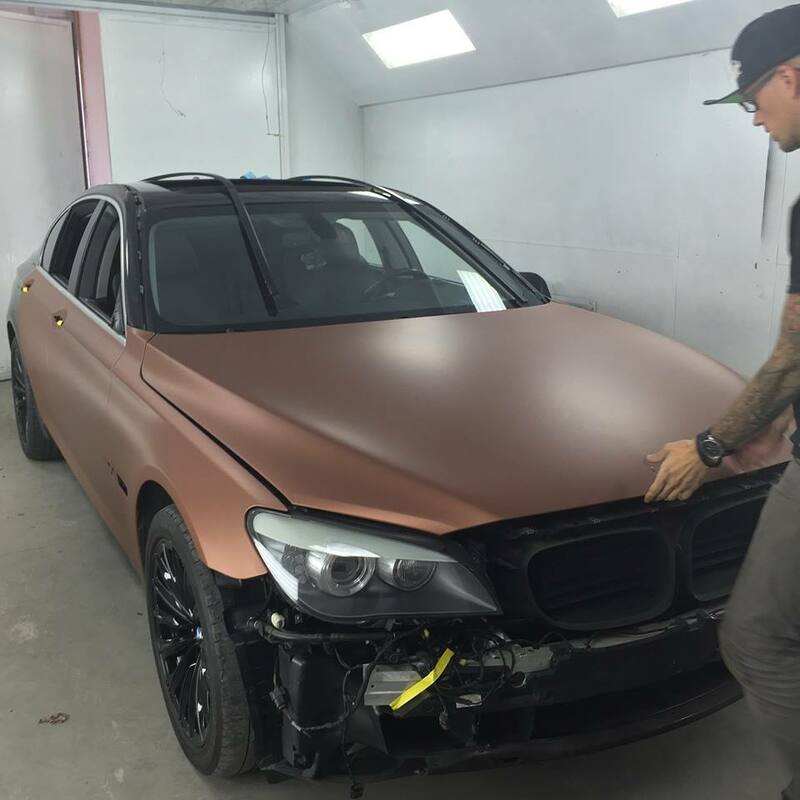 Crazy BMW 7 series underway! 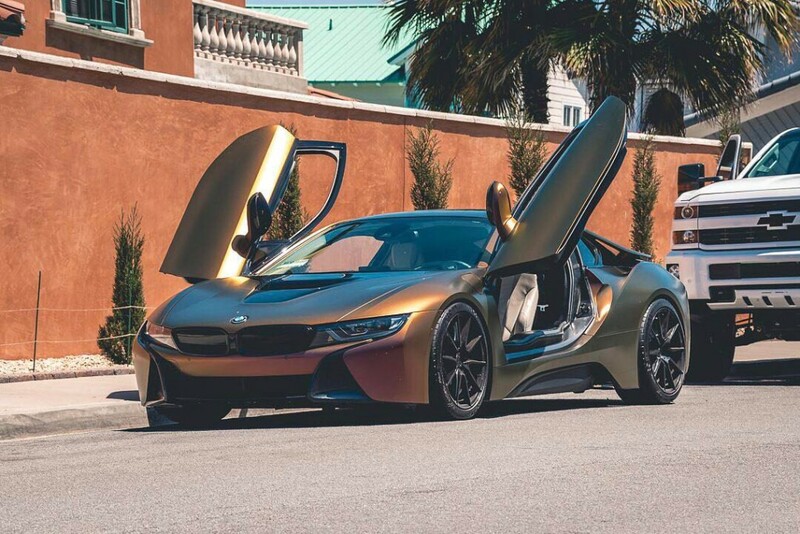 Can you guess what color this is? 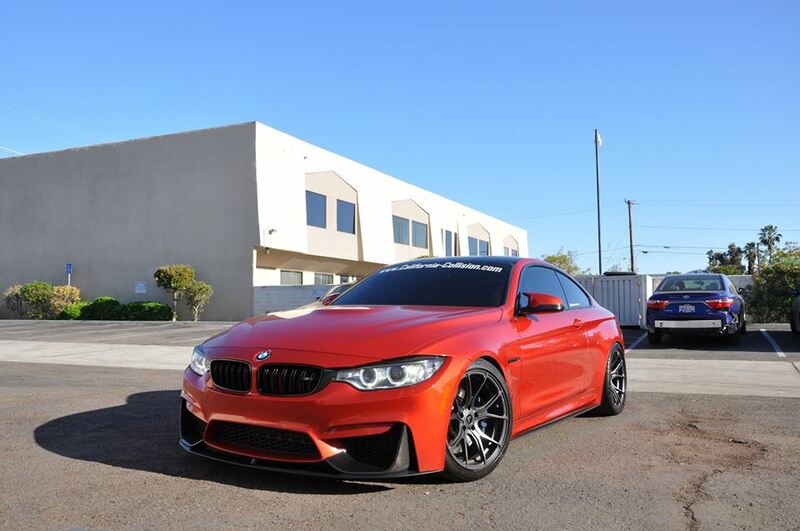 BMW M performance lip installed on California Motorsports’ 2016 M4 with new Vorsteiner wheels and Pilot Super Sport tires. 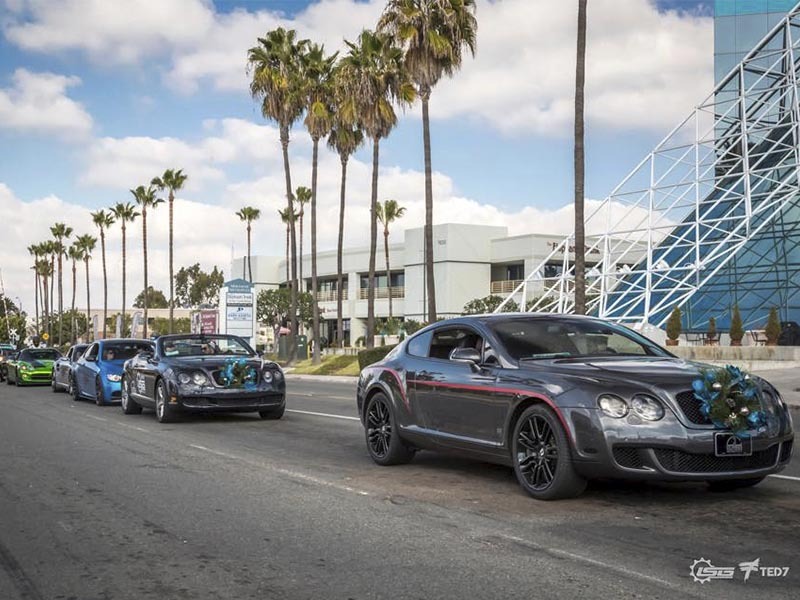 California Motorsports’ Bentleys in the LSG Rally. 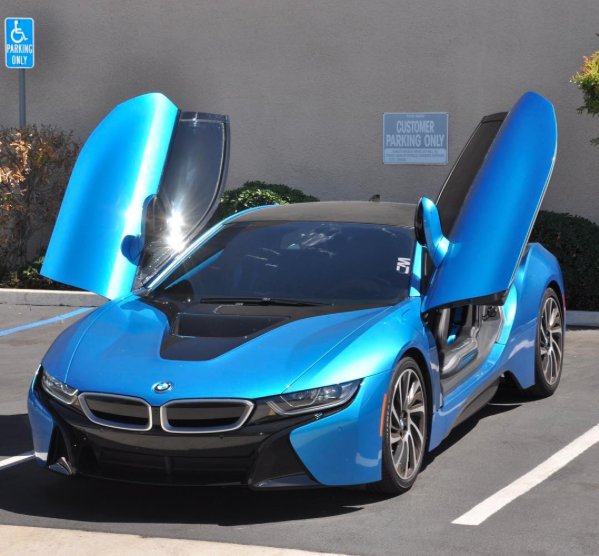 Car Trivia: What kind of car is this? 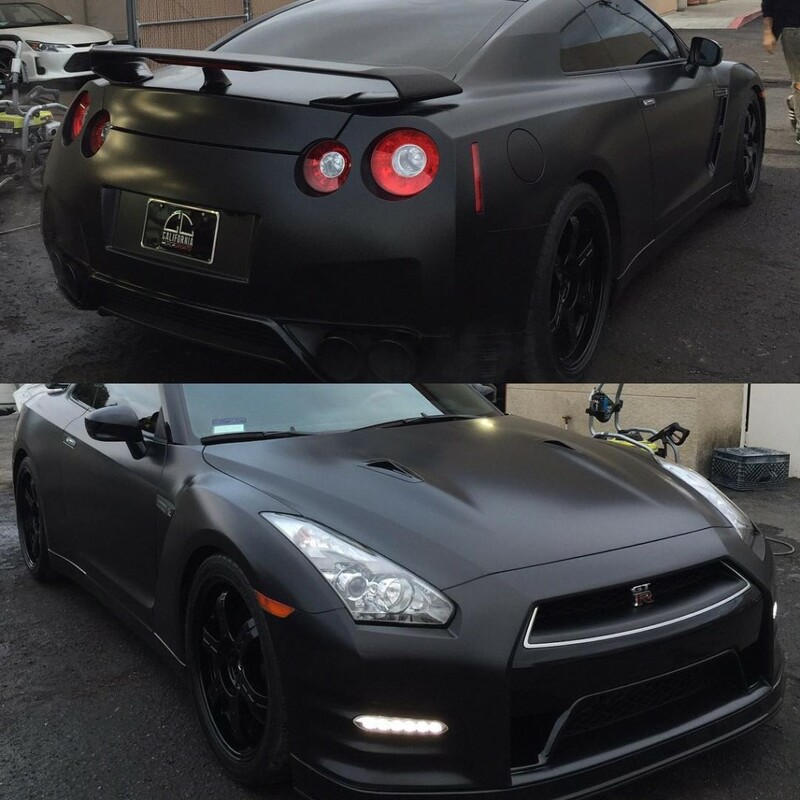 STEALTH GTR R35 fully wrapped in Satin Black with gloss black accents. 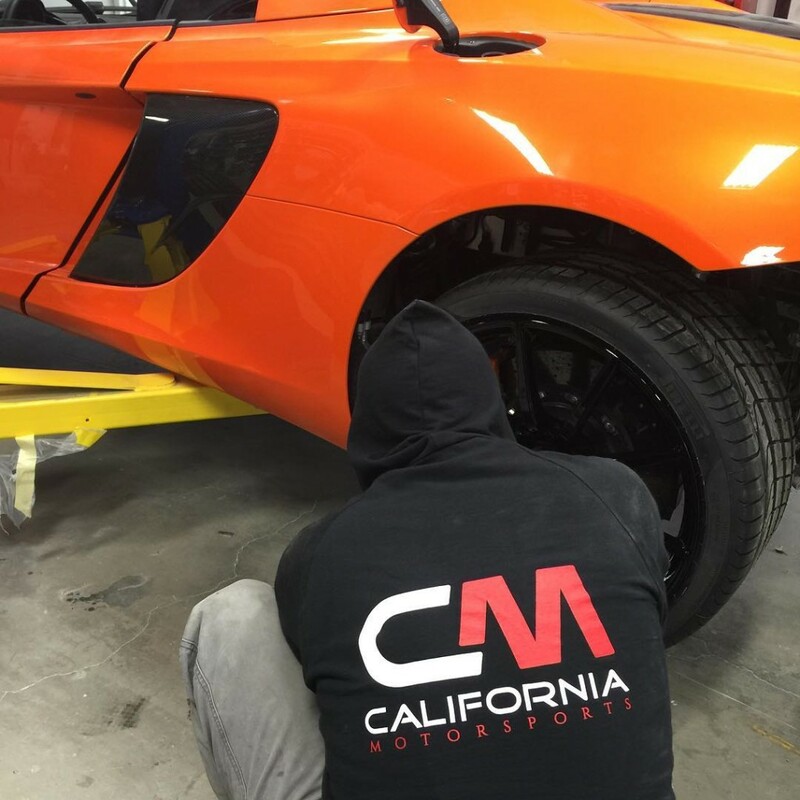 Mclaren‬ 650s with freshly painted wheels being assembled and repaired after a big collision by California Collision Center and custom work by California Motorsports. 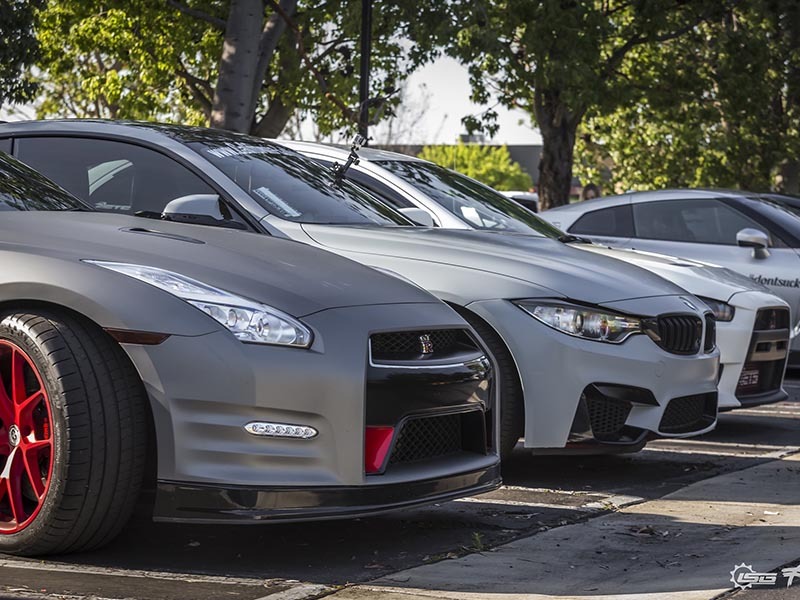 Our wrapped GTR and M4 at an LSG Rally.